The end of 2016 marked a significant milestone for a number of employees of Sheet Piling (UK) Ltd who have achieved 20 years continuous service with the company. 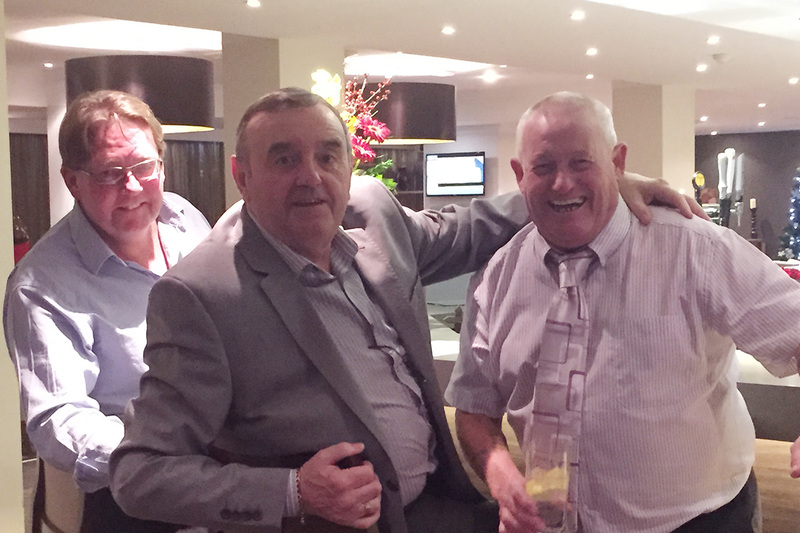 Dave Gannon (Contracts Manager), Peter Brady (Piling Foreman), Peter Burke (Piling Foreman) and Jason Broadbent (Piling Foreman); all joined Sheet Piling (UK) Ltd shortly after the company’s formation in 1996. To mark the occasion and by way of thanking all these key members of the organisation for their hard work and commitment to the company over the past 20 years, they were all presented with an engraved memento of their achievement at the recent company Christmas Dinner. In this day and age, such commitment to the company is not only a reflection of the loyalty and professionalism of the individuals but is greatly acknowledged and appreciated by all their colleagues and Directors involved with Sheet Piling (UK) Ltd.
During the course of 2017, there are numerous other employees who will also achieve the above milestone, so watch this space for further announcements.